Diligent adherence to landing procedures is crucial to the successful operation of runabouts, shuttles and other small spacecraft. 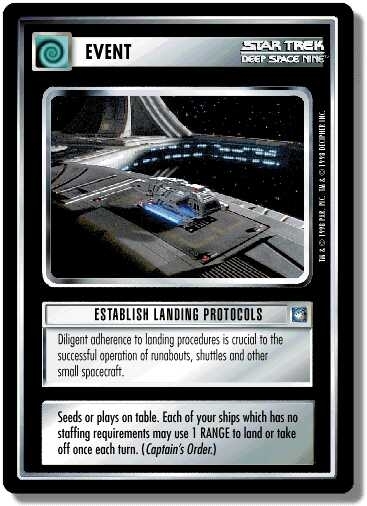 There are 21 entries for Establish Landing Protocols (ST1E 5 C 67) at the Tradeplace (52 haves and 5 wants). Click here to see all trade list entries for this Common card!